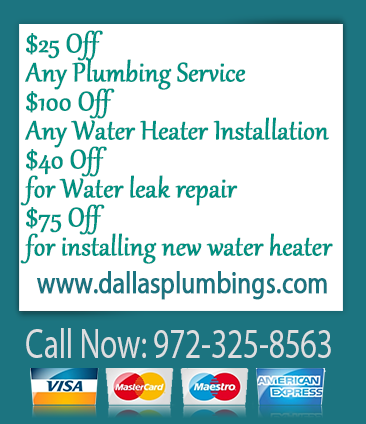 Your water leak problems in your home in Dallas County, Colling, Denton, Kaufman, Rockwall, Texas, will be easily solved if you call us on time. We have advanced equipment leak detection techniques that helps us find any leakages in roofs, slab, walls, sprinkler systems, and out in the yard. 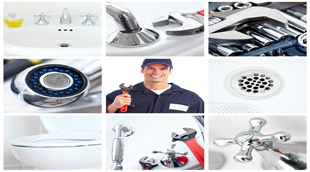 Our service are provided by highly educated and experienced plumbers. Is your water heater leaking creating a pool of water in the garage or in the attic? If you have this problem, we will assist you quickly. Depending on the cause and source of the leakage, we can repair this problem adequately. If your tank is a decade old and has leaks at the bottom it is best that you get a new one. If you need to buy a new heater there are plenty of choices in the market such as gas, solar, electric, or tankless. If you are losing a lot of water, we recommend shutting off the water supply into your home and then call our plumber. In order to stop leak we will first check the most common sources first. Temperature pressure relief valve, which also goes by the name T&R or TPR, is one of the parts that leaks often. We will replace this valve in order to fix a leak. Another problematic area where water can spill is the tank’s inlet or outlet. To repair this problem we will replace the corroded galvanized pipe. A leaking shower can reduce the water pressure. It can also contribute to a lot of water lost, which is not good for your plan to save money on utility bills. If you have this problem, it is best that you have it corrected quickly by a skilled technician. Call us for this or any other drainage issues and we will address them effectively.